If you’re a fan of sticky notes, you know how handy they can be. Predecessors to Windows 8 had a sticky note functionality built in. 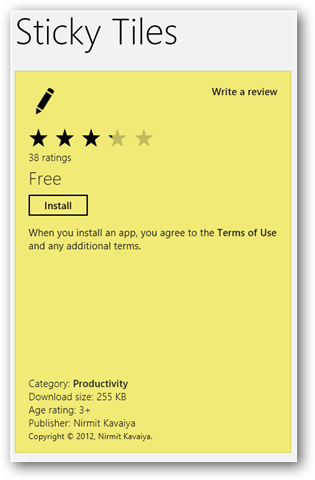 However, Windows 8 doesn’t come with sticky notes pre-installed so it leaves users to find an app to make them happen. 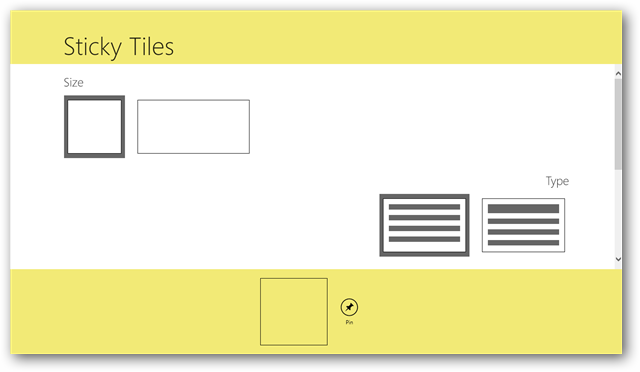 Sticky Tiles is one of the best alternatives for the original sticky notes in Windows. 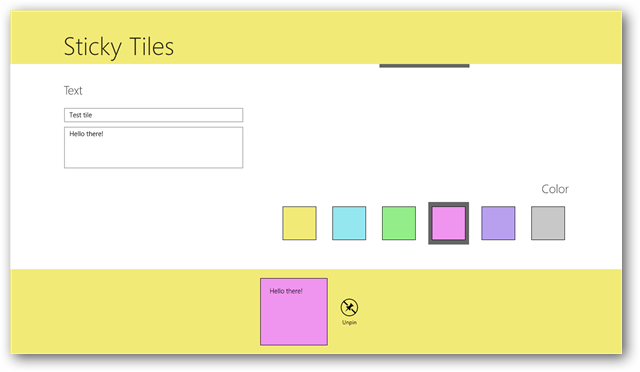 We’ll show you how to get sticky notes back in Windows 8 with the Sticky Tiles app. This will bring up the Sticky Tiles app. Click on it. Once the Windows Store has installed Sticky Tiles, you can open them by clicking the “Sticky Tiles” live tile on the Start screen. When Sticky Tiles opens, you can immediately begin customizing a live tile that resembles a sticky note. This note can have any sort of information at all on it for you to use. The main screen of Sticky Tiles gives you the ability to customize the note. You can choose the size, the type and then pin it to the Start screen. If you scroll down, you can add the title, text and choose a color. You’ll be able to preview it at the bottom, then click “Pin” to pin it to your Start screen. 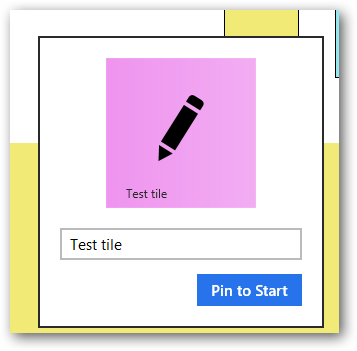 You’ll be able to name the tile, to sort through multiple notes, then click “Pin to Start” to finalize the process. Now, you’ll see the Sticky Tile on your Start screen. From there, you can click on it and move it around like any other tile on the Start screen. If you click the tile to open it, you can edit the tile as you see fit. 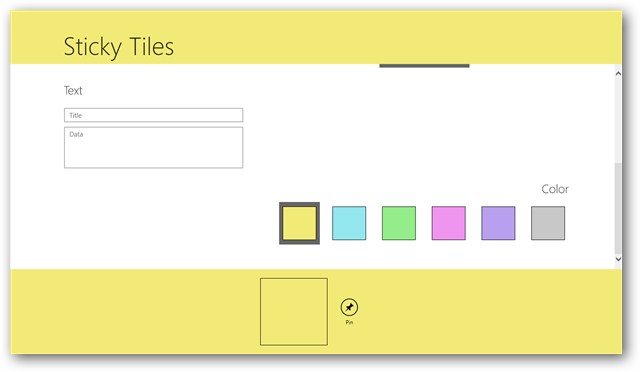 Sticky Tiles is a great utility for those missing sticky notes from previous versions of Windows. 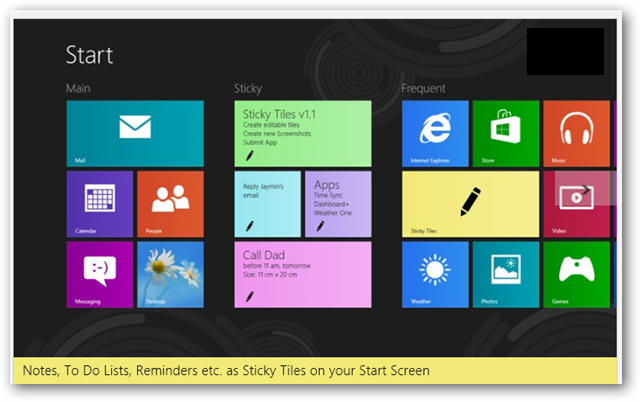 What good are Sticky Tiles in Windows 8? 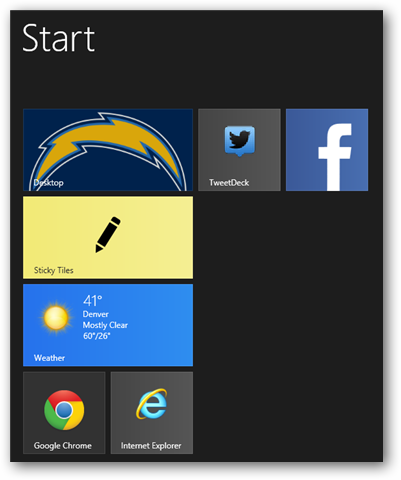 Sticky Tiles in Windows 8 are a utility that can be used as you see fit on the Start screen. 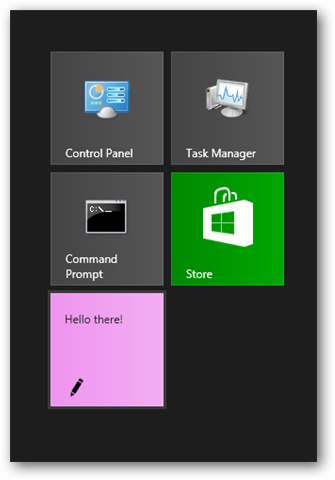 Sticky Notes were an amazingly low key feature in Windows and with Sticky Tiles, you can start using them again through your Start screen. Whether you need to remind yourself of appointments, need a to do list or something else, Sticky Tiles is the way to go in Windows 8.